Finding the perfect lightweight night cream that’s suitable for all skin types is a daunting task, I reckon. I've a combination skin yet I don’t prefer using heavy moisturizers for my dry cheeks, especially during summers! 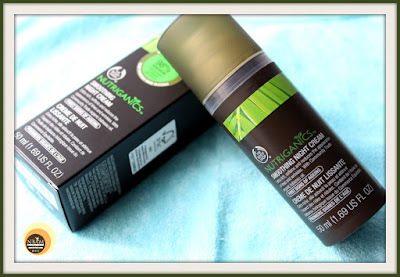 So today I am going to talk about an extremely lightweight, summer-friendly smoothing night cream from the Nutriganics range of the brand - The Body Shop. This is one of my favourite night creams and to know more about it, please keep reading. This extra rich night cream has been created to address the first signs of ageing. Use each night to hydrate, soften and smooth the skin while you sleep. Available: Online & at TBS stores. Apply to face and neck after serum in an upward circular motion before going to sleep. 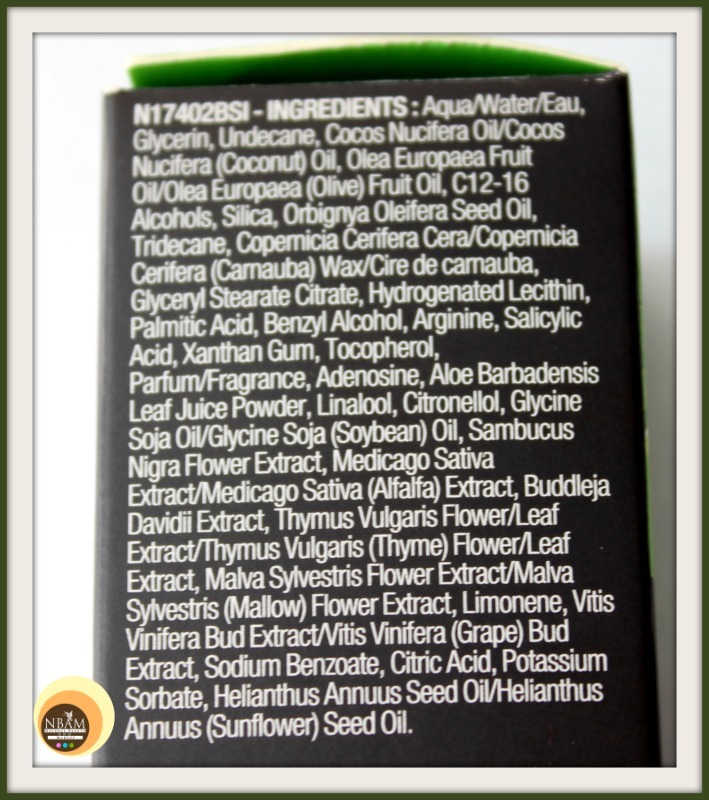 98% of the total ingredients are from natural origin. 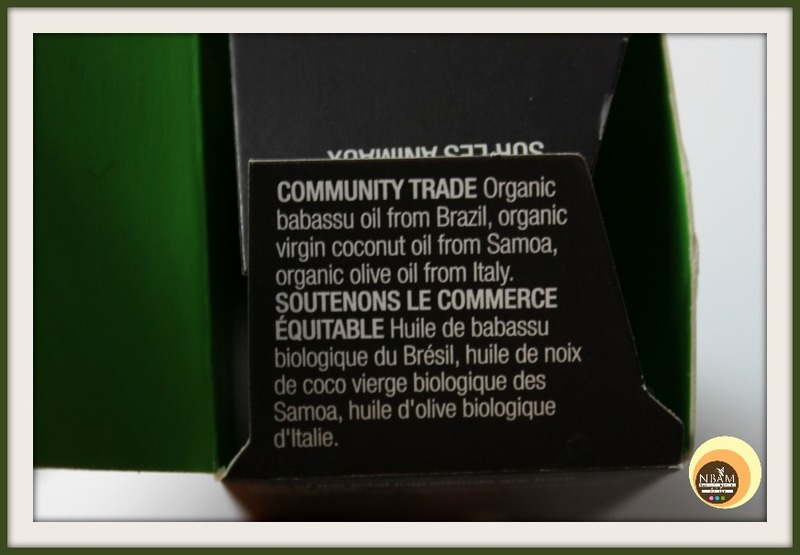 Community Trade Organic babassu oil from Brazil, organic virgin coconut oil from Samoa, organic olive oil from Italy. I purchased this night cream last year 2017 along with The Body Shop Overnight Serum In Oil. My intention was to buy either an organic or pure natural night cream for my skin. So when I asked the sales assistant if they have any organic skincare range, she showed me this Nutriganics range. This certified organic range has other skincare products as well, but I got my hands on this night cream only. This year, when I went to TBS outlet to repurchase this product, I was informed that TBS Hong Kong has discontinued this organic range. Boom!! 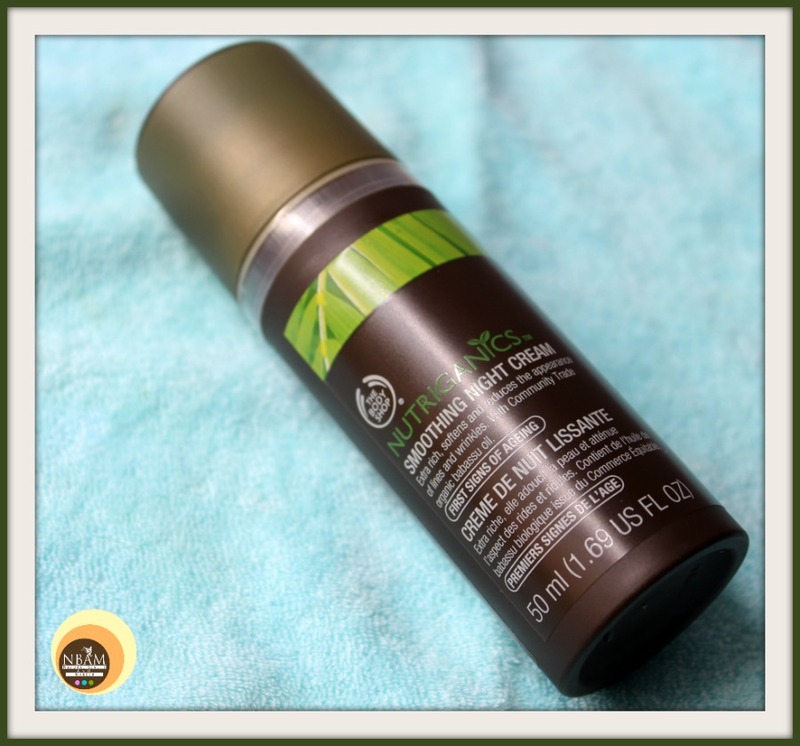 The Body Shop Nutriganics Smoothing Night Cream comes in a small, black matte finish plastic container with the pump mechanism. The lid shuts tightly thus it’s spill-proof and easy to carry along. 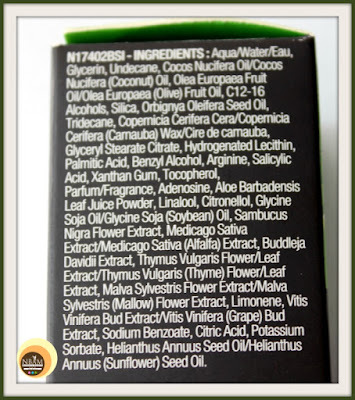 The ingredients are mentioned on the outer cover packaging and the rest of the details are printed on the container itself. This Nutriganics Smoothing Night Cream is white in colour with a thick consistency which smells herbal to me. The fragrance is not overpowering, however, might be bothersome to people with a sensitive nose. It has a smooth creamy texture. I had finished this night cream just two months back so you can imagine how long this product lasts! As instructed, I used to apply this cream right after applying the toner and serum on my face and neck. Even though this night cream has a thick texture, it gets absorbed into the skin quickly providing a matte finish. I required using only a pea-sized amount of this cream to moisturize my skin every day. During the summer season, no one likes to use heavy duty moisturizers even at the night time so this cream is the perfect substitute. The fragrance was a huge turn off during initial few applications but gradually that smell faded away. It’s absolutely a non-irritating, soothing cream and is great for acne-prone skin as well. Dry skinned beauties may find this night cream to be less moisturizing but if applied over hydrating toner and serum, it does a great job 😊. 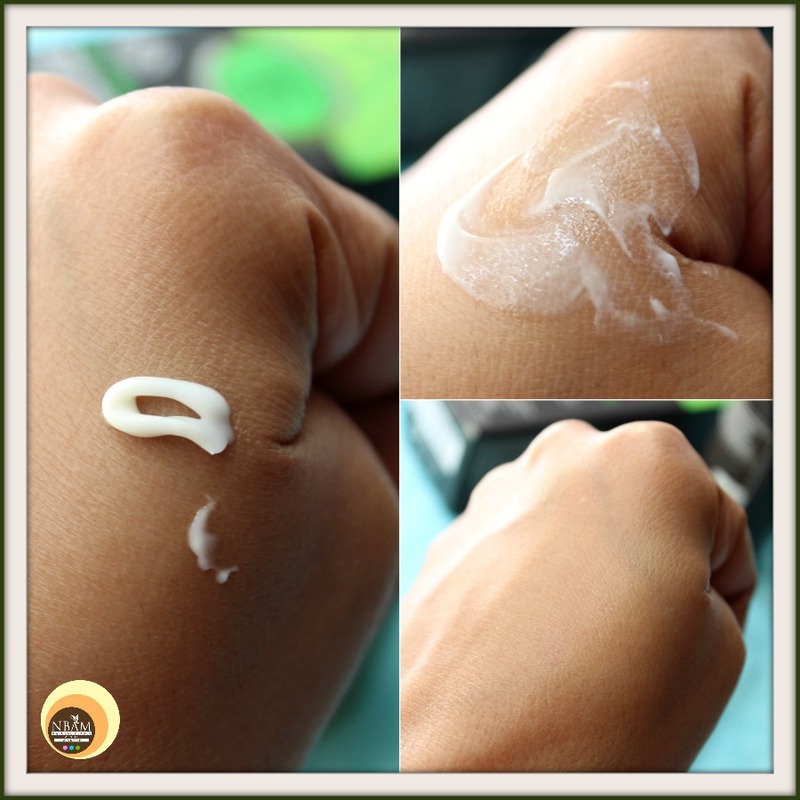 This night cream moisturizes the skin pretty well without making it oily. Though, it played no role in taming my acne but didn’t cause any breakouts either. Every morning I would wake up with fresh, soft and plumped skin minus greasiness!! The best thing about this night cream is it can also be used as a moisturizer underneath your day/evening makeup. 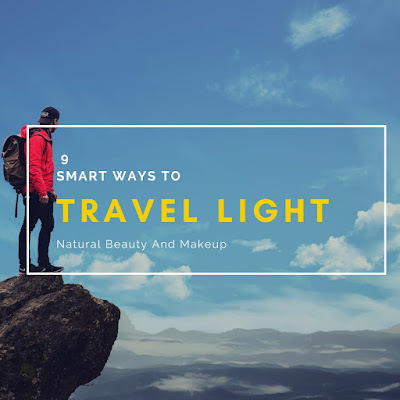 I have used it this way a lot of times (with sunscreen for the day look, of course) and found it quite impressive. Doesn’t it sound like an excellent skin care product for the hot summer season 😉? 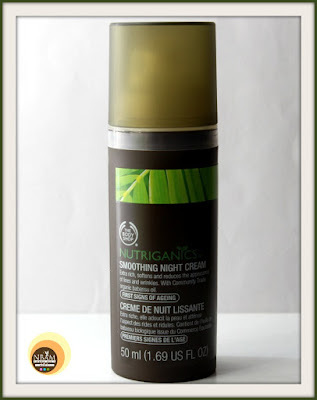 The Body Shop Nutriganics Smoothing Night Cream is an amazing night cream with a matte formula. My bad, this product is not available in Hong Kong anymore 😞. The product claims to moisturize the skin up to 12 hours which I don’t agree with, however, I find it to be a great hydrating night cream for my combination skin. I would highly recommend it to those who are on a lookout for a lightweight, moisturizing night cream for their skin this summer 😊. 1. Atlantis Skincare Velvet Skin Night Elixir Review. Have You Ever Tried The Body Shop Nutriganics Smoothing Night Cream? If Yes, Please Share With Us In The Comment Section Below. molto interessante questa linea . TBS is my favorite skin care brand. Will check out this awesome product. never tired TBS as a brand iIfind it very pricey! It's good to know there's an organic range in Body Shop. 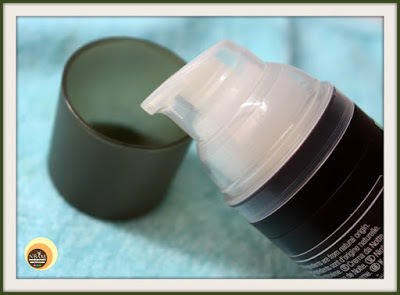 Hydrating moisturiser that doesn't cause breakouts is a fabulous find. Nice to see this Body Shop product, looks light and hydrating!